A new type of crystalline alloy has been developed that can purify wastewater in just minutes. 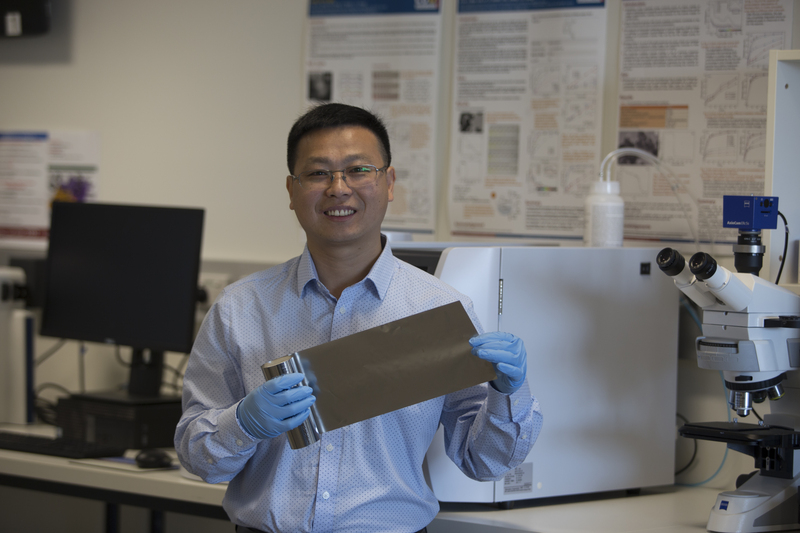 It may look like a simple piece of alfoil, but when added to wastewater this high-tech strip of iron can remove impurities like dyes and heavy metals in just minutes. “Mining and textile production produces huge amounts of wastewater that is contaminated with heavy metals and dyes,” he said. “Firstly, using iron powder leaves you with a large amount of iron sludge that must be stored. Secondly it is expensive to produce and can only be used once,” Professor Zhang said. “Whereas metallic glasses have a disordered atomic structure, the crystalline alloy we have developed has a more ordered atomic structure,” he said. “We produced the crystalline alloy by heating metallic glass in a specific way. ‘Compelling Rejuvenated Catalytic Performance in Metallic Glasses’ was published today (14 September) in Advanced Materials.